My name is John Billington. 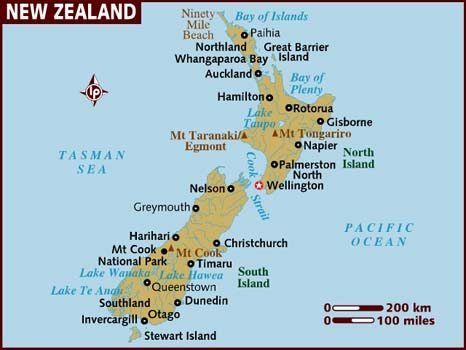 I live in Aukland, New Zealand, which is the largest and most populace area in the country. 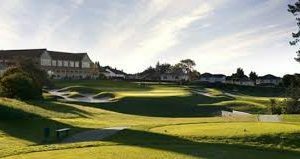 I am a member of Titirangi Golf Club, a course designed by Alastair McKenzie on his trip south to design Royal Melbourne. I have played golf in most continents and especially on the McKenzie courses in California (including Cypress Point). I was a scratch handicapper but at 66 years I am now playing off a respectable 7. 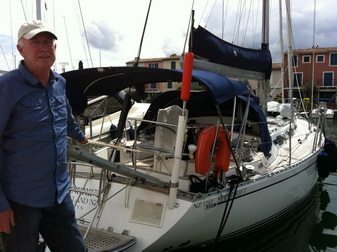 I have been travelling to Europe for sailing holidays regularly for the past five years and transit through Asia. I travel one way alone, meeting my wife in Europe and taking the opportunity to play some golf on the way. I started using Golfasian to arrange golf holidays in Thailand. It worked seamlessly for me with transport etc and because they tended to join me up with other groups I met many interesting people from all around the world whom I would not otherwise meet: Russians, Swedes, Germans, Dutch, Swiss, Scandinavians, and golfers from all over Asia; fascinating!! The courses are all good, well-groomed and economical by world standards whilst facilities are of a uniformly high standard. Last year I spent a week on my own golfing in Phuket and recently a week in Chiang Mai. 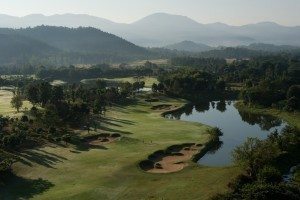 Red Mountain in Phuket is particularly stunning and a great test, whilst Alpine Chiang Mai is unique with its beautiful surroundings and varied types of holes providing different challenges. I usually stay in hotels in the city rather than at a resort because I enjoy sightseeing, the local markets and restaurants including the wonderful street food. Thai caddies are exceptional and great company; quite able to lift my spirits and get me back on track if I’m finding it difficult to find my rhythm. The Golfasian drivers are invariably courteous and efficient, providing recommendations on local attractions. I will return to Thailand soon, this time with a group of friends from Titirangi. 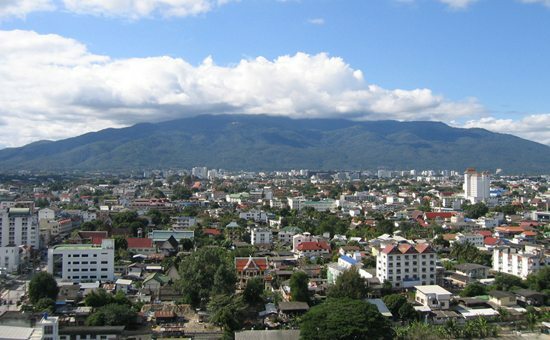 We shall probably play in the Chiang Mai area because the climate is appreciably cooler, the countryside truly beautiful and mountainous and there is such a lot to do and see. I’ll leave the arrangements to Golfasian…they haven’t let me down yet! Hi, my name is Gary. I am an Australian, originally from New South Wales, but now very comfortably domiciled in Perth, Western Australia with a wife of 35 years marriage and two grown up kids! I have played golf since my father stuck a golf club in my hands when I was about 10 years old. At 61 years old now, I guess you could say I have been a long-term golfer. I have been a member of private golf clubs since a junior, and a member of my current golf club, Melville Glades for the last 22 years. My current handicap is 4 … hard earned at my age! I also happen to be the President of the club and have been on the Club’s Board for the last 5 years. Melville Glades is a parkland golf course in the Perth metropolitan area and will celebrate 50 years of operations in 2017. We have in excess of 1,100 members with member competitions every day of the week. Oh, we also have a mob of around 200 kangaroos that live on the golf course which is a very special experience for our members and visitors. 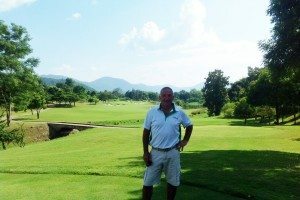 I have been to Thailand around half a dozen times, and have played golf in Phuket, Pattaya, Bangkok and now Kanchanaburi. Thailand is renowned as the best and most enjoyable golf tourism experience in Asia, and the combination of well-conditioned courses, excellent caddy services and comfortable, luxurious Clubhouses, makes for a unique golfing experience for visiting Australian golfers. 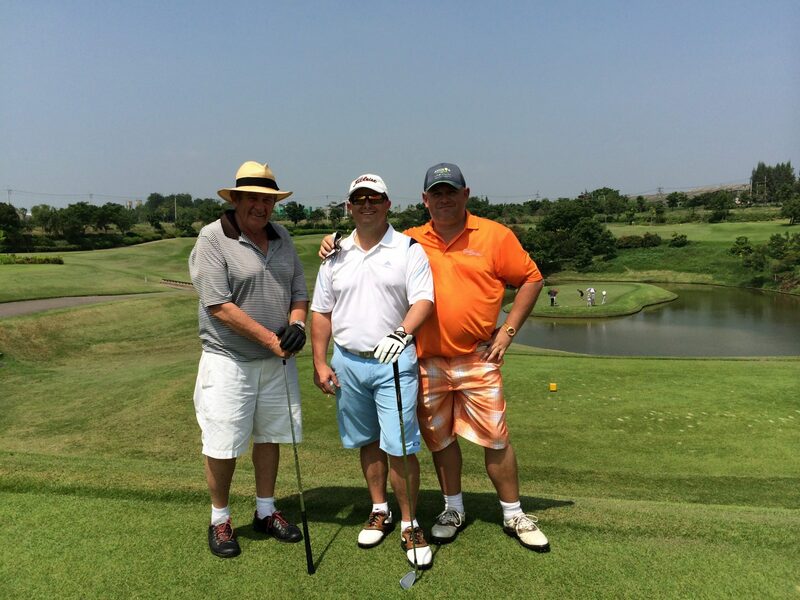 My most recent golf tour included Bangkok, Kanchanaburi, Ratchaburi and Hua Hin. We played 5 great golf courses, including Black Mountain, Thai Country Club and Grand Prix … all different with individual challenges. Royal Ratchaburi was a unique and most enjoyable golf experience playing in the countryside and through the mountains bordering Myanmar. 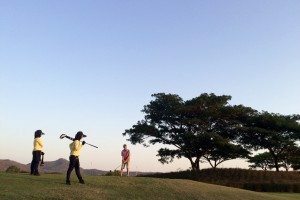 With golf tours in Asia, you need to consider the time of the year and the prevailing weather conditions. There are obviously peak season times where prices increase, however I like to schedule my tours around the “shoulder” seasons where I can access some lower rates and then build some “value-add” into the tour price with things such as trophies, prizes, complimentary polo shirts etc. My most recent tour had 22 guests and most were golfing couples. Being a 10-night golf tour, we only arranged a couple of team dinners … this allowed the guests to “do their own thing”! Some couples teamed up with others for dinner and drinks, and others went out for massages and shopping … things Thailand are famous for! All in all everyone thoroughly enjoyed the trip and would like to sample another Asian destination, perhaps Vietnam. Let’s see what Golfasian can do for us!! Hi my name is Paul Keefe. My wife and I live in Montreal in Canada. I am 72 and have been a Member of a golf club for 50 years. My current club of 33 years is Royal Montreal. We have 45 holes and our claim to fame is we are the oldest golf club in North America. We have hosted the President’s Cup and many Canadian Opens. My lowest handicap was a 12. While I was working golf was limited to 20-30 games a year but since retirement 10 years ago, I have been playing a lot of golf. My handicap increased over the years to 18. My wife and I first came to Thailand in 1990 for our honeymoon and since coming for golf for the first time 6 years ago we have seen many changes. On one particular trip we stayed for 8 weeks and loved the experience. 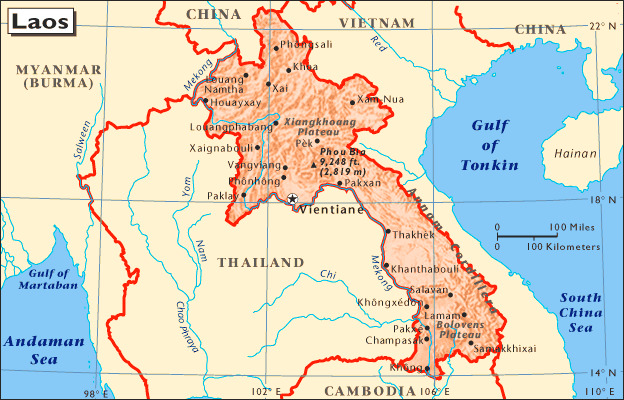 We have tweaked our trip each year to see as much of South East Asia as possible. In Thailand we have golfed in Bangkok, Chiang Mai, Chiang Rai, Phuket, Hua Hin and Pattaya. 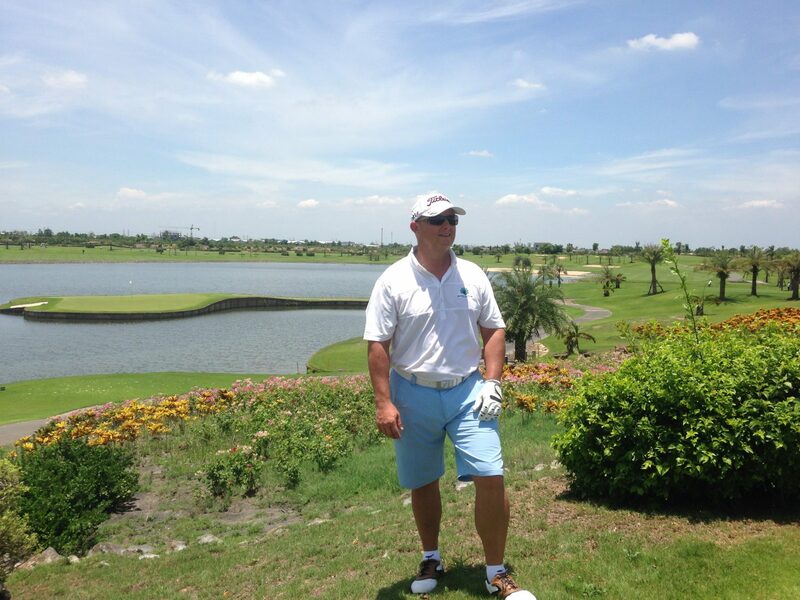 We have also golfed in Vietnam and Cambodia (Siem Riep and Phnom Penh). 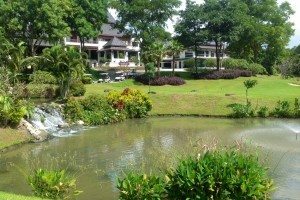 There is so much to like about golf in Thailand, but in particular we think the hotels are outstanding because of their superb service and the friendliness of staff. We like the Westin in Bangkok because it is on the BTS transportation line. In Hua Hin the Centara and the Hilton are located on a beautiful beach and are right in the center of town. For the golf, of course having a caddie is a real treat. They are really good with yardages and reading greens. The courses for the most part are in great shape and most are excellent designs. My favorite courses are Black Mountain and Banyan in Hua Hin, St Andrews and Siam Country Club in Pattaya and Thai Country Club and Summit Windmill in Bangkok. The weather is usually great. In 6 years I was only forced to abandon one game due to a rain storm. We always walked until this year when we started using a cart because of medical issues. Post our rounds of golf, in the beach towns we would return to the hotel and enjoy the facilities, in Bangkok we shopped. The shopping compared to Canada in terms of choice and variety is incredible. Of course having a post golf massage is wonderful. Renowned for its cuisine, the restaurant choices are amazing. The shopping centers have great restaurants and the prices are incredibly reasonable. We keep coming back because of the value, choice and wonderful, varied experiences. We think Thailand is hard to beat as a golf destination. Hi, my name is Joe. I started playing golf in 1992 as a club member at Amstel Golf Club, but am now playing off a 10 handicap at Drouin Golf and Country Club at Drouin Victoria in Australia. The Drouin course is predominately couch fairways set amongst a picnic day racecourse, quite picturesque. My lowest playing handicap has been 7. Before this trip, I had travelled to Thailand twice before, backpacking, and not staying in any one place for any length of time. 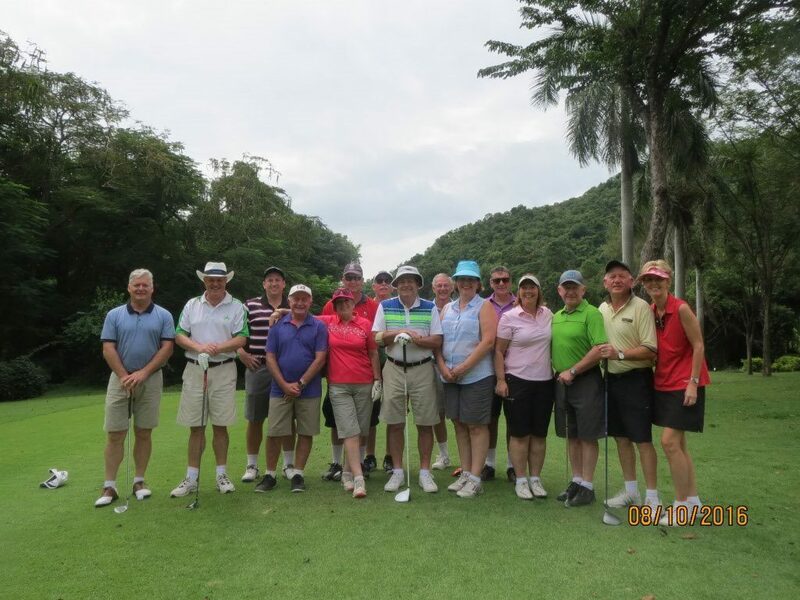 A local Drouin member had taken a group of friends to Thailand last year and had organised another trip in May 2015, so I decided to join this group along with a few others who hadn’t been to Thailand golfing either. I didn’t know these members, but by the time we left Hua Hin the 12 of us had become good mates. All agreed to return next year. We all agreed it was sensational. The golf courses are well above par, the food great, the night markets and social activities were sensational. Having had such a magnificent time golfing in Thailand, I couldn’t wait to go again. I found Golfasian on their website and their Asia Golf Week tournaments caught my eye. 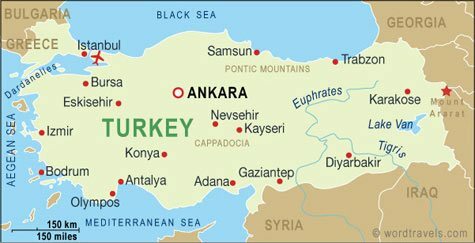 They were available at a great price, including golf, caddies, carts, accommodation, all overland transfers plus group dinners. 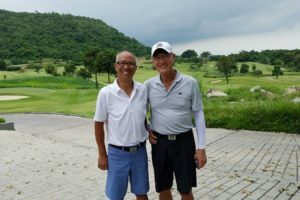 I booked in for the Chiang Mai amateur tournament, apprehensive at first not knowing anyone, but was soon put at ease with some supporting emails from Mark Penfold, director of events. Upon arrival at Chiang Mai I was promptly picked up for my transfer to the hotel. The group meeting that night was full of expectation and excitement. As the week rolled on new friendships grew and the golf became more competitive. The beautiful courses at Alpine, Chiang Mai Highlands and Gassan were very challenging and a real test, particularly as it was a competition. If it wasn’t for the knowledge of the caddies I’m guessing many of us would have really suffered. The Alpine Golf Resort had been set up for the ASEAN championships, so it was very tough with its Bermuda rough and tight fairways. The last round at Chiangmai Highlands Resort and Spa surrounded by the local hills was also tough but very scenic and easy on the eyes. My score of 34 points wasn’t good enough to hold off the better players on the day. The courses selected by Golfasian, that I have seen so far, are top quality layouts making you think about every shot. 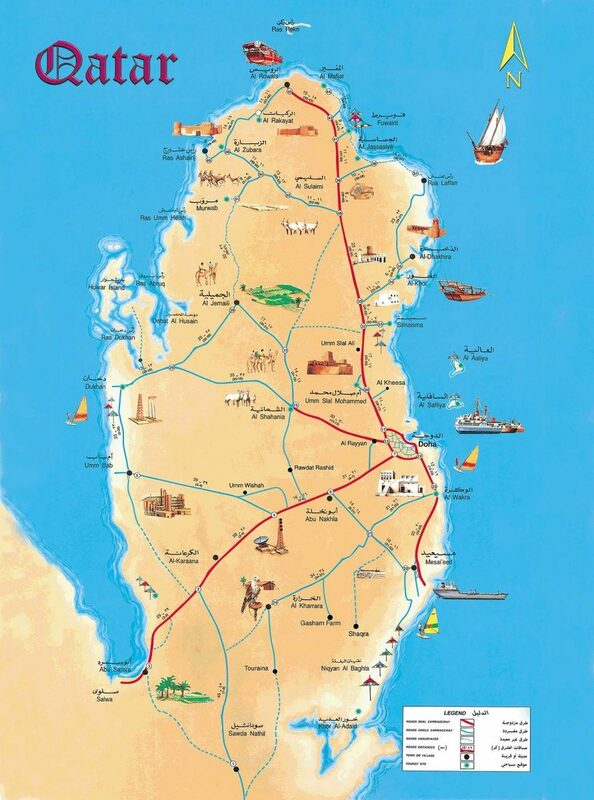 The location of the hotels were excellent, very close to all amenities, bars, restaurants and markets. The golf course transfer drivers were efficient; always on time and very polite. Although the weather was hot, which I don’t mind, the caddies were always on hand with an umbrella and a cold drink or parking the golf cart in the shade; the ultimate indulgence. After the round a nice cool drink, snack and some good stories were exchanged in the beautiful club houses, before returning to the hotel for an evening meal. I am extremely impressed with the professionalism of Golfasian. I really can’t think of anything that could improve the Chiang Mai amateur championship tournament. I urge those thinking about it to just do it, you won’t be disappointed. I’m off to Hua Hin in March 2016. My name is Steve Hall. I am originally from England but migrated to Australia just over 8 years ago. We live on the beautiful South West Coast of Australia in a small place called Australind, approximately 2 hours South of Perth. Here we are fortunate to be able to enjoy the outdoor life; lovely beaches, many BBQ’s, beach fishing, numerous wineries and of course golf. 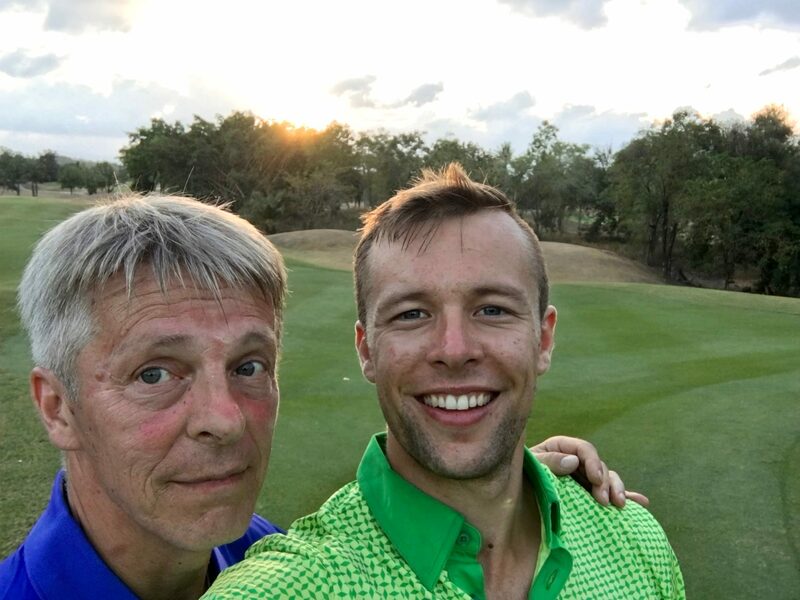 I started to play golf with my sons when we first came to Australia and later, when we made friends with others who enjoyed the game too, I joined one of our local golf clubs called Sanctuary Golf Resort. It is an 18-hole municipal golf course and can be quite challenging at times with its many lakes and sand bunkers. Although I have been playing the game now for several years, I still have a rather high handicap; one I would not care to mention, but I am slowly getting it down. My wife says she is proud of me for my sheer determination in continuing on but I do enjoy the sport, more on a good day, and especially the social side which comes with it. It is our third time in Thailand but our first time golfing. We chose Thailand and especially Hua Hin because it was highly recommended to us by our son. He stayed there with friends a couple of years ago and was very impressed with both the area and the golf. I found Golfasian on the internet, emailed them with our requirements and went from there. We travelled with friends of ours, Scott and Sandra. Neither of our wives play golf so we needed to make sure that there would be enough for them to do whilst we were off enjoying the game. Golfasian came up with a very attractive package and before we knew it we were booked and ready to go. 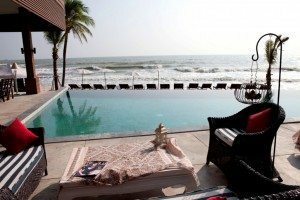 We stayed in Hua Hin for seven nights at the Hotel Baan Laksasubha Resort. A beautiful Colonial, Thai-designed property located right on the beach and close to all the shops, bars and restaurants. The rooms and grounds were kept very clean and the staff were so friendly and helpful. The infinity pool overlooking the beach was a big hit for us. 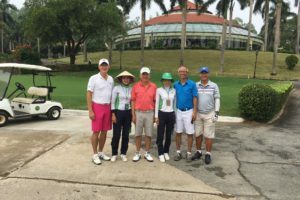 Our itinerary included three alternate days of golf where we played Springfield Royal Country Club, Banyan Golf Club and Black Mountain Golf Club. The conditions of the courses were excellent but my favorite was Banyan because there I played a better game and although all our caddies were excellent, the caddies we had here were a lot of fun. Whilst we played golf, the girls kept themselves entertained with shopping, massages, relaxing by the pool and lunch and cocktails at the beach bar. After golf we would all relax by the pool with a cold beer. What could be better. 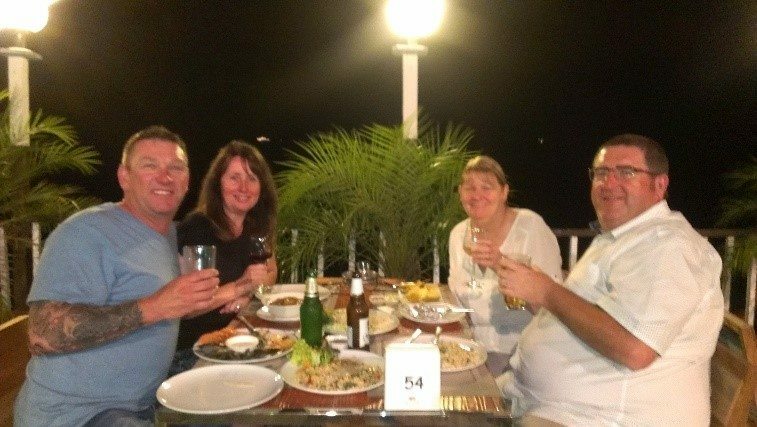 In the evenings we dined at some of the wonderful restaurants Hua Hin has to offer. The food was excellent and the people very friendly. On one of the none golfing days we took a taxi to a winery which was just under an hour away. 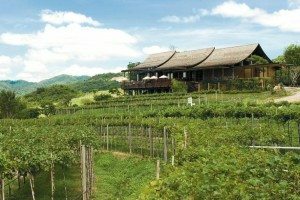 “Winery in Thailand” I hear you say. Yes, we could not believe it either and it did not cost much to get there. It was set in beautiful lush green surroundings and reminded us of one of the wineries not far from where we live. There we sampled some lovely wines ready to then order with our lunch. The food was tasty but the portions a little small. We spent another day fishing at the Hua Hin Fishing Lodge. The surroundings were idyllic, relaxing and then explosive when you catch a fish. Here the girls caught their biggest fish ever. A nine kilo and eighteen kilo catfish. It was amazing and an excellent day was had by all. The simplicity of booking the holiday was excellent and we found the staff of Golfasian excellent too. Travel from the airport in Bangkok to the hotel in Hua Hin and the return journey was the most comfortable we have experienced. 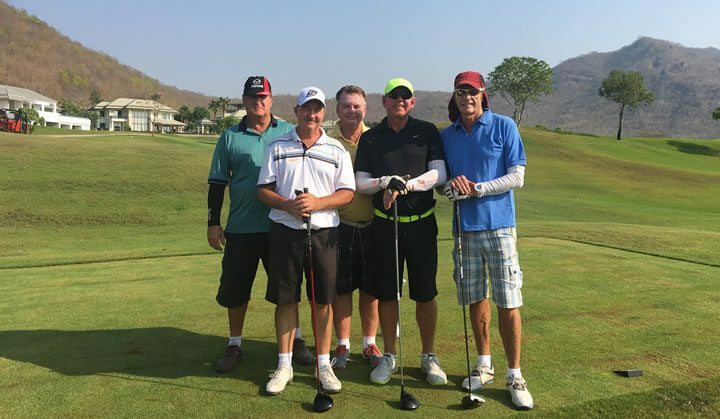 The whole Thailand golf experience from start to finish was fantastic and not only would we recommend this to others, including none golfers, but we are hoping to return again next year. This time for longer in order to try out more golf courses. My name is Aki Mustonen. My father, who accompanied me on this very special father/son trip is Timo. 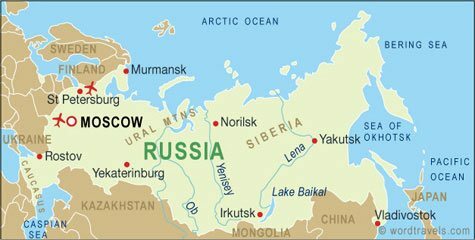 We come from Finland; Dad lives in Helsinki and I live and work in Beijing. My father started playing golf in Finland at the age of 35. Once my sister and I arrived he stopped playing but once I became old enough (aged 10) he got me a couple of modified clubs and I was able to practice with him occasionally. At that time I was more interested in football and ice-hockey so one day I informed him I was no longer going to play golf. My dad continued playing occasionally and once we moved to China in 1998 he joined a golf club there, and again I occasionally joined him. At this time his handicap was 12. 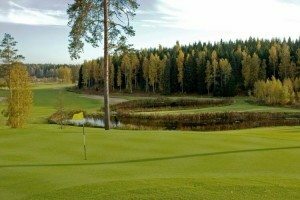 I was finally bitten by the golf bug when I attended the Sports Institution of Finland at age of 22. To my pleasant surprise we had access to a free 9-hole practice course. Very quickly my handicap dropped to the low 20s, also playing golf quite a bit with my father. My current handicap is 18 but I’m looking to drop to 10 this year. In Finland I belong to Vierumaki golf club, which has 2 tree-lined courses (pine trees and lots of heather) and the practice facility which the Institute uses. 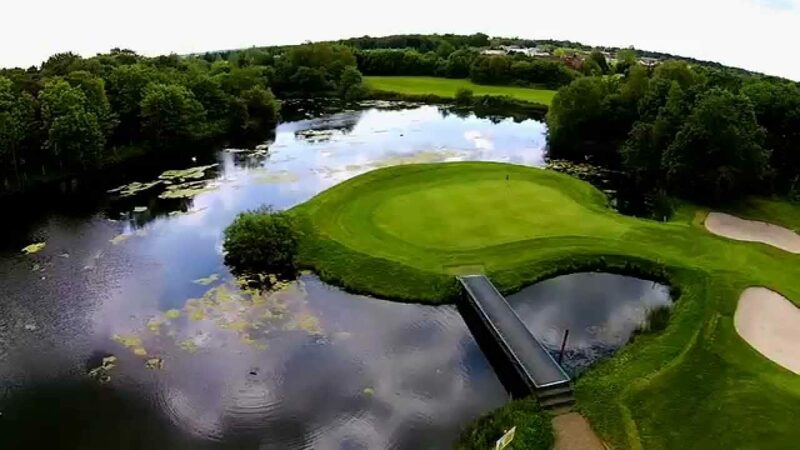 The “Cooke” is a championship course and challenges all levels of players: the 18th and 13th holes were included in Golf Digest magazine’s readers’ Dream 18 golf course. This was not the first time we had travelled to Thailand having previously been to Bangkok, Koh Samui and Phuket with the entire family. This was, however, the first visit to Hua Hin which appeared to have a good golf pedigree and was still relatively convenient for Bangkok. 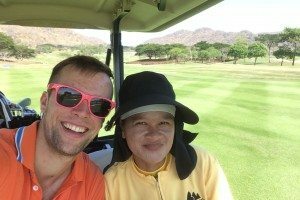 Our first Thailand golf experience was something very special for both of us. Thanks to Golfasian everything was taken care of in advance so all we had to worry about was to wake up, have breakfast and play golf. In Finland we always walk, but in Thailand we used carts for almost every round because it does get very hot during the day (caddies appreciated it too!). Additionally, our two favourites, Black Mountain and Banyan are quite hilly. One part of the golf experience was the energetic and friendly caddies with whom we got to share our rounds. Not only were they keen to laugh and joke around with us but they also proved to be very capable at reading the tricky greens, especially at Black Mountain. Thanks to one amazing caddie and her green-reading skills I scored my best round at Black Mountain, 84 from the back tee! Some of the caddies also respected the Finnish tradition of enjoying a small “nip” of cognac when a birdie was scored 🙂 although I have to admit it didn’t happen too often. Another part of the golf experience was meeting nice people who joined us to make a 4-ball. It’s interesting to hear stories and backgrounds from different people around the world. After golf we would have a shower to freshen up, drink a beer (or two…) and have a snack at the club house. On a few occasions (3) we enjoyed ourselves so much we played an additional round. If we had time we would go back to our rented villa which was part of the package and enjoy the sunshine by our pool, perhaps the Black Mountain Water Park or even at the beach which is 20 minutes away. Generally we had dinner in town at one of several restaurants before heading back to bed and preparing for a new day’s golf. In conclusion we were really satisfied with how everything ended up for us in terms of transport, accommodation, golf and free time. 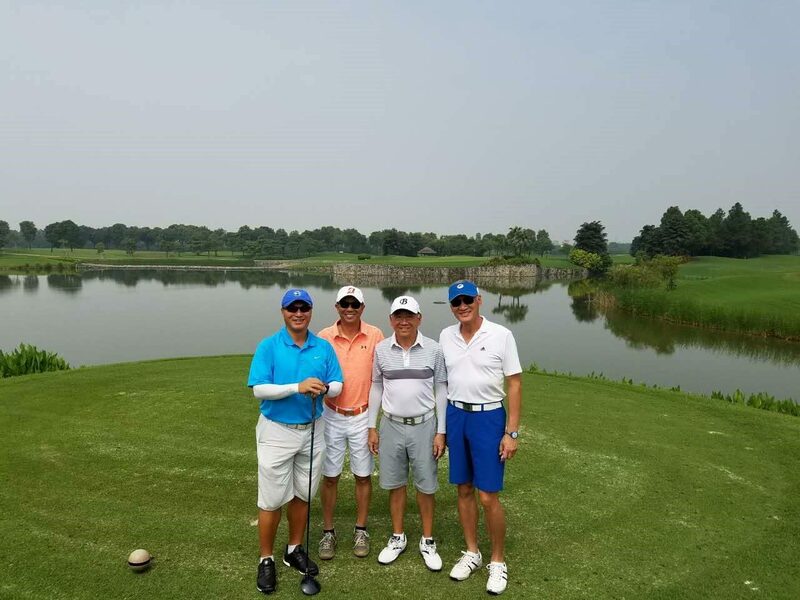 Hua Hin has a lot of beautiful golf courses and we found that it was perfect to be able to focus on the best course as far as we are concerned, Black Mountain, while also taking the opportunity to play three others. Two weeks was the right amount of time to get in a lot of golf but still have enough time for other things. 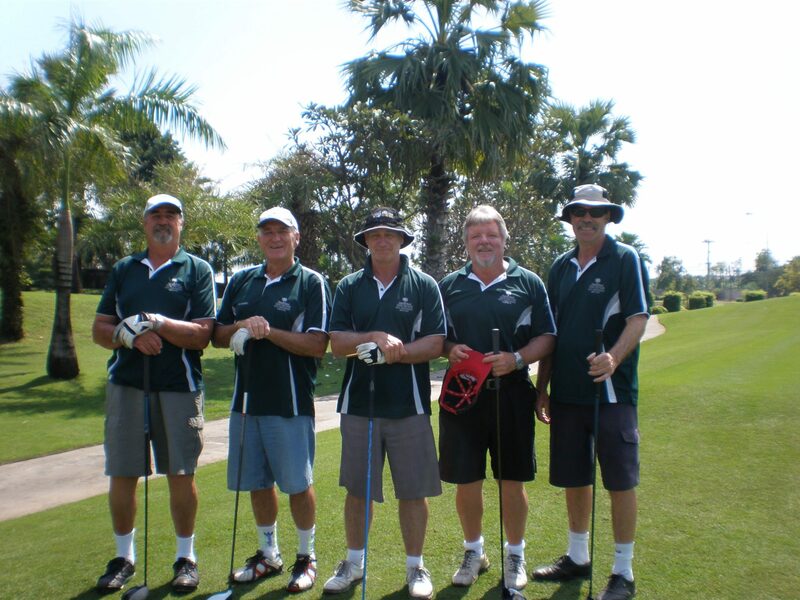 We highly recommend Golfasian services as well as Hua Hin for those who are looking to enjoy a memorable golf experience. Hi, my name is Bob Wood. I am from the Sunshine Coast, just north of Brisbane in Australia. I have played golf for over 50 years but have become more serious in recent years after my retirement from Secondary School teaching. I play off a handicap of between 6 & 8, depending on the benevolence of the golfing Gods and am a member of Caloundra Golf Club a parkland course north of the town of Caloundra and just a few kilometres inland. I usually play competitions at my club 3 times a week. 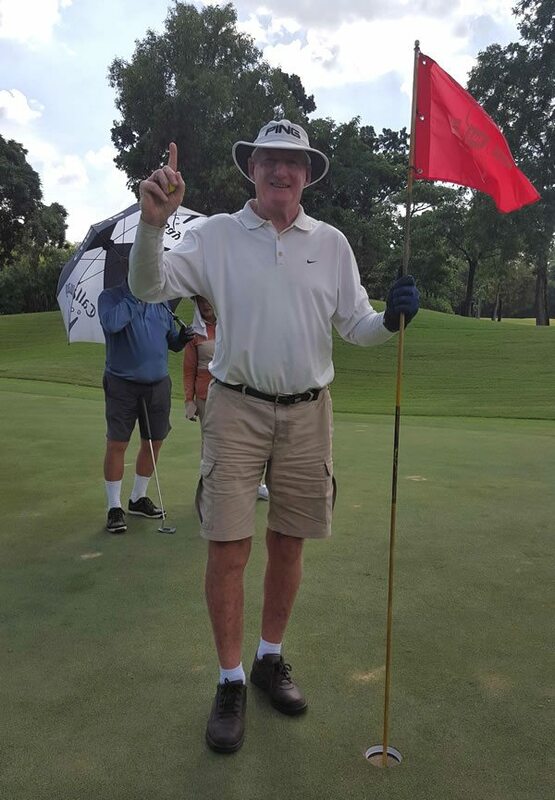 Recently, on a golfing trip to Thailand I had my second hole in one at Lam Luk Ka Golf Club one hour north of Bangkok on the 145 metre par 3, 12th (the first was last year at The Royal Gems). It’s always great to see the ball go in off the tee on a par 3 but particularly good fun when you are on holiday playing with friends in beautiful surroundings. 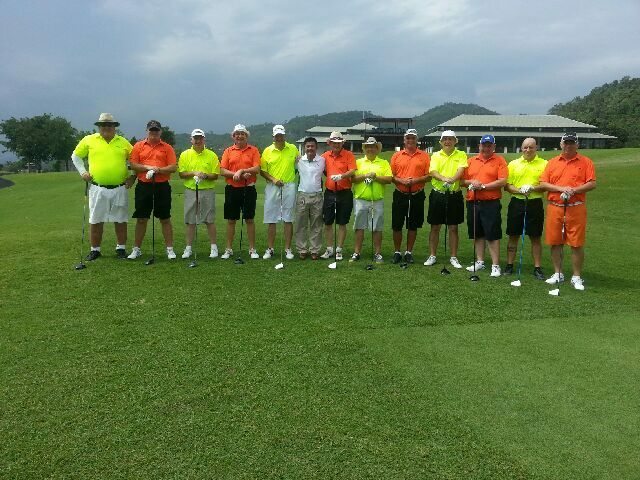 This is my 6th Thailand golf holiday with like-minded golfing addicts from Australia. I consider Thailand to be the best golfing experience in the world. The courses are excellent and the caddies in the main are friendly, competent and diligent; they add to the ambience of any day. The friendliness of the Thai people in general is overwhelming. Our Thailand destinations have included Chiang Mai, Chiang Rai and Hua Hin all of which offer the full cultural and golfing experience without the hassles of big city traffic and crowds. 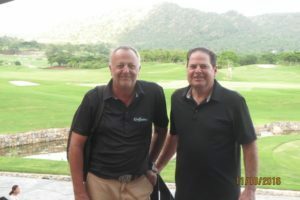 All our trips have been expertly organised by Golfasian, whom we have found to be friendly, well organised and reliable. 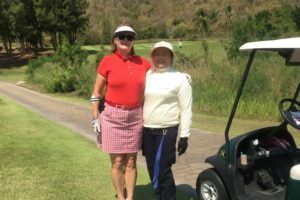 Having reviewed the superb Chiang Mai Highlands golf course recently, I just got back from another short trip to Chiang Mai, this time with visitors doing the tourist “bit”. 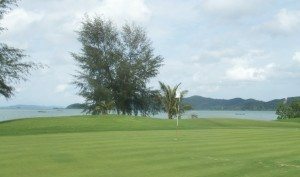 Courtesy of blogs like this, for those of you who are novices to Thailand in respect of golf I’m guessing the destinations most familiar to you will be Pattaya, Phuket and Hua Hin (less so) for something that combines golf and other holiday-typical activities, in their case the beach. 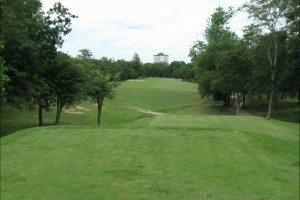 Chiang Mai turns out to be a bit of a dark horse (although no beach which will become obvious when you look at the map), offering superb golf (see Chiang Mai golf) plus plenty of things to enjoy when away from the links. Chiang Mai is my second favourite city in Thailand, just slightly behind Bangkok which I have grown to love. One of the reasons is that unlike Bangkok which tends to be hot all year round, Chiang Mai has a genuine “winter” period (end November until start April) when the temperatures can fall to the sublime mid twenties and prompt the actual wearing of a sweater (I only have one…threw all the others away). But that’s just the icing on the cake. Rather than go into great detail, which you will be better served by reading the Lonely Planet guide, I’ll provide an overview and give you just a taste. The city is relatively compact and much more residential in feel which makes exploring on foot easy and fun. Whilst it has modern shopping, high rise hotels and commercial areas there are also myriad back streets with markets, small craft and coffee shops plus what seems like hundreds of small hotels and guest houses that cater for visitors, particularly those backpacking in Asia. In those back streets you may come across a beautiful temple or ancient monument which appears unexpectedly. As you’d expect in Thailand, you are never far from “street food”which in this part of the world is subtly different (try the local speciality, Khao Soi, which is a delicious noodle curry with just a hint of Indian spices), but in recent years, because of the influx of foreign visitors and residents from the four corners of the world, there are all manner of restaurants and cuisines available…I particularly like The Swan, a Burmese restaurant in the centre of the tourist area. 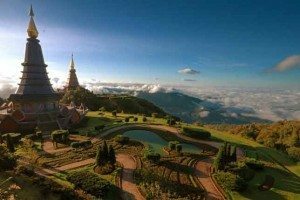 Chiang Mai is surrounded by beautiful countryside, predominantly forest-covered hills and mountainous areas (on a small scale admittedly but spectacular nonetheless) including Doi Inthanon Thailand’s highest point. This terrain provides the wonderful backdrop to many of the area’s golf courses making them so different from others elsewhere in Thailand. Because the local area is largely rural the roads are quiet and in excellent condition because they don’t get so much heavy traffic and exploring in a car is actually pleasant and stress free. What of the golf itself? In Highlands, Alpine and the recently refurbished Gassan Legacy you have 3 of the finest courses in the country, all of which provide challenging yet rewarding experiences in gorgeous surroundings. There are others, of course, over a dozen and don’t forget the superb Robert Trent Jones Santiburi near Chiang Rai, only a couple of hours away. So there you have it…surprising Chiang Mai, give it a try you’ll be delighted you did. When you contemplate booking your next golf holiday, the superior courses of Thailand are beckoning to you to come experience some of the best golfing in Asia. Thailand, known as the Land of Smiles, features excellent golf courses dotting the kingdom, and none of them is more in demand than those of Phuket. Thailand’s largest island, Phuket is easy to get to and a proven destination point for tourists of all stripes. For golfers in particular, Phuket’s array of amenities makes traveling to the island a no brainer when scheduling your perfect, getaway golf holiday. Variety is the spice of life, and Phuket provides plenty of spice when it comes to selecting where you want to tee up for a great round of golf. The island hosts more than a half a dozen superior courses with challenges and beautiful vistas built into the design concepts of each course. If you are coming to Thailand in search of great links and superior golfing conditions, you will find both at any of Phuket’s top professional courses. 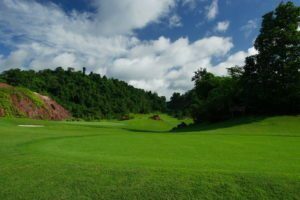 The crème-de-la-crème of Phuket golf courses, Red Mountain Golf Club provides the ultimate golfing experience for experts and novices alike. Built on the site of an abandoned tin mine, the 18-holes of Red Mountain Golf Club meanders across multiple elevations dominated by dense jungle terrain on the one hand, and towering cliffs of soft red rock of the former mining operation while providing some of the most challenging holes on the island. As the highest course on Phuket Island, you will be afforded incredible views regardless of which hole you playing. Additionally, this award-winning course is centrally located just minutes from famous beaches like Patong and Karon, so this provides a prime opportunity for the non-golfing members of your family to enjoy their vacation while you explore every inch of this awesome golf course. Blue Canyon Country Club, located just minutes away from Phuket International Airport, provides the closest links for new arrivals, and the club is strategically placed to take advantage of the many amenities along the island’s west coast. Blue Canyon offers two distinct golfing experiences: The Canyons and The Lakes. The Canyons, set in a natural environment that features 80 bunkers and ten holes where water plays a challenging role, is a championship-grade course with greens that run both fast and true. By comparison, The Lakes course navigates around three dozen bunkers and 17 holes that are impacted by the water hazards that lend the course its name. In the world of golf tourism, the Kingdom of Thailand has a secret weapon at its disposal that places it far above its competition, its cadre of highly qualified caddies. 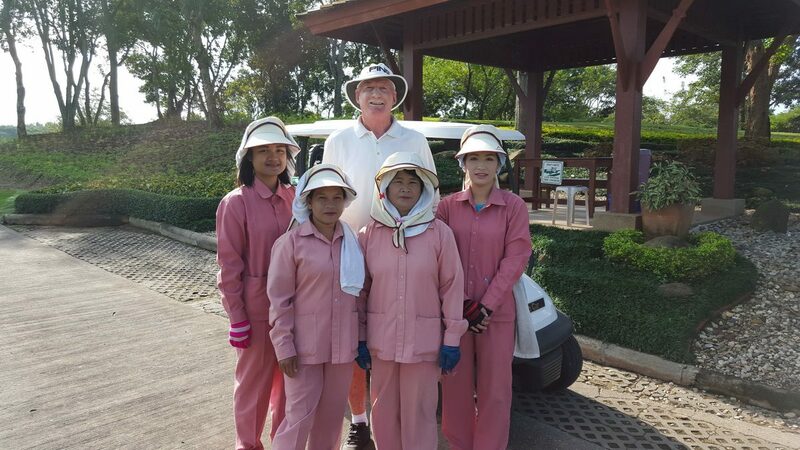 Rooted in the kindness of the Thai people, Thailand’s caddies are not only extensively trained in the fine art of golf, but they also deliver a fun experience for the more than 600,000 golf tourists expected to travel to Thailand this year. 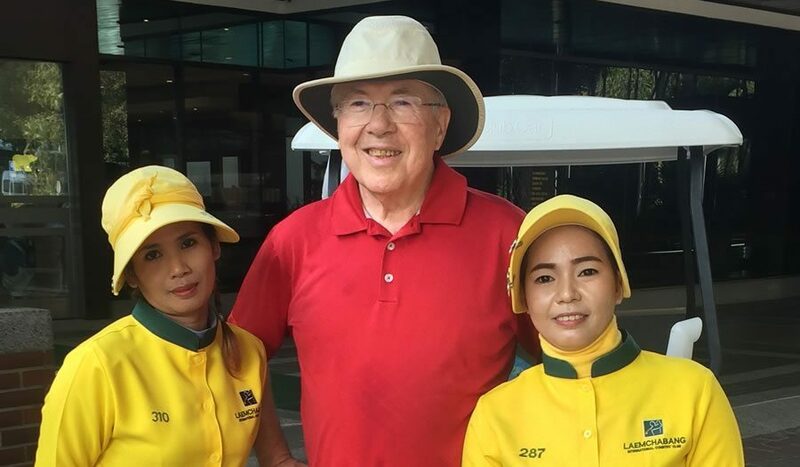 Friendliness is a way of life in Thailand, and guests are made to feel as if they are members of the family immediately upon disembarking from the plane. For the true golf aficionado, distance means nothing unless it pertains to judging which club to grab from your golf bag to make that sweet shot on the back nine. As such, the world is your oyster when it comes to locating the next great golfing destination, and Thailand is the pearl you will find when you schedule your Thailand golf holiday. A fully inclusive Thailand golf package puts you directly on the green for some of the best golfing that the world has to offer. With more than two hundred established golf courses in the country, an already well-established and robust tourist industry, superior climate, and some of the nicest people in the world, Thailand golf excursions are a perfect way to spend your holidays. As mentioned, with more than two hundred golf courses peppered throughout the country, the Kingdom of Thailand golf scene is already well established and awaiting your arrival. Even better, the rich environmental diversity of the country affords a Thailand golf holiday that directly matches your preferences. For example, the experience of golfing in the highland mountainous regions affords breathtaking vistas rivaled only by the courses along the stunning beach resorts of Phuket and Hua Hin. Additional options include excellent golf courses in close proximity to the vibrant nightlife of the nation’s capital of Bangkok. 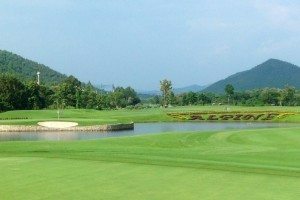 In short, you decide on the Thailand golf experience that you want and there is a Thailand golf package aimed at meeting those specific desires and expectations. Beyond offering stunning Thailand golf options, the country itself features one of the oldest and unique cultures in the world, so there is something to do for everyone in your traveling party. These adventures encompass everything from exploring towering waterfalls, visiting ancient Buddhist temples, trekking through jungle terrain atop an Asian elephant, or shopping in high-end boutique shops in the famed shopping districts of the country. With a reputation as a visitor destination point owing to its rich cultural traditions and brilliant natural beauty, scheduling a Thailand golf holiday is easy because of the already well-established tourist industry. 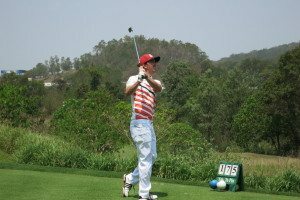 The Tourism Authority of Thailand is dedicated to supporting the development of an international Thailand golf industry, so there is a wealth of information available to plan your Thailand golf holiday. From five-star rated hotels dominating the skyline to charming Thai style bungalows nestled along the coastline, there is a large array of accommodation options regardless of where you decide to tee up within the country. 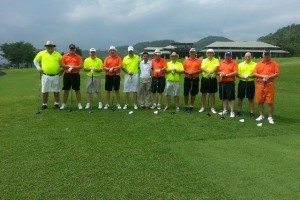 If you are looking for a golfing experience unlike any other, consider planning a Thailand golf package that is without compare. 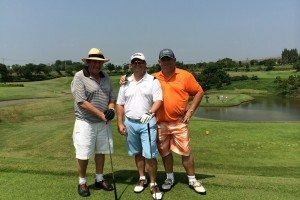 Offering a beautiful climate year round, warm and inviting people, and plenty of thongs to do both on and off the award winning golf courses, a Thailand golf holiday is a great way to spend your time away from the office. Award winning Golfasian offers customized golf holidays in Thailand and it’s neighboring countries. My name is Steve Madden and I live in Sydney, Australia. I have played golf since I was a young boy, however it’s only in the last 4-5 years that I have had time to play on a regular basis. 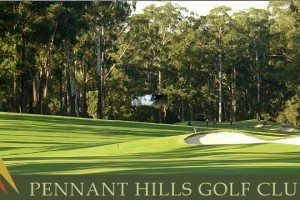 My current GA handicap is 13 and I am a member of Pennant Hills Golf Club in Sydney. 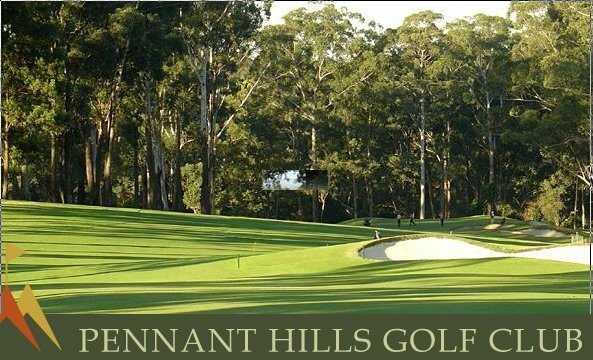 With its roots established over a hundred years ago Pennant Hills is considered a “Private” A Grade golf course, featuring tree-lined fairways and rolling terrain. Whilst not long by modern standards the par 71 course is still demanding. I have played golf in Thailand many times originally playing in Phuket whilst on holiday with my family in 2006. I first came across Golfasian when I saw their advertisement in an Australian golf magazine and they have looked after me ever since. There aren’t many destinations I haven’t visited: Phuket, Bangkok, Chiang Mai & Pattaya have all been sampled. Most times I have travelled with a group of like-minded male golfers all of whom love the experience of playing “Golf in a Kingdom”. Golf in Thailand is great because of the quality of the courses on offer, the hot and humid climate and the post-golf activities. Although the price of golf is quite expensive (if you choose to play some of the best courses) it is well worth the money in my opinion. A point to consider is that as a full service company, Golfasian packages include transfers to and from the course, accommodation and green fees plus caddy. You are collected promptly, delivered directly to the course and chauffeured in well-kept mini vans that have plenty of room for you and your golf gear. After golf the driver delivers you back to your hotel without any hassles, capping off a great day’s golf. I also thoroughly enjoy the great attitude of the caddies that form a large part of the unique experience. 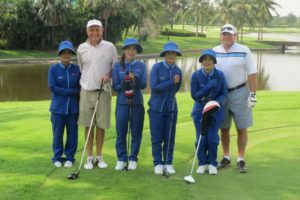 Their friendly nature and willingness to provide advice and guidance makes golf in Thailand something you keep coming back for!! The humidity can sometimes be challenging but I love this type of weather so it isn’t a problem. Personally I love visiting Thailand for the culture, food and night life. Most of the hotels that we have stayed at have been first class including the Sofitel Bangkok, the Holiday Inn Bangkok and a recent stay at the Shangri-La Bangkok which is right next to the Chao Phrya river, a wonderful bustling thoroughfare that harks back to the 19th century when Bangkok was a significant Asian trading centre. After a great day’s golf you can relax by the pool or grab a massage before heading out for dinner. The cost of food ranges from cheap but delicious street food to a top quality dining experience; Thailand has a taste for all budgets! Then it’s back to the room for a rest before another day’s golf! The best thing about booking your golfing vacation with Golfasian is that they take the hassle out of planning. All you have to do is turn up and swing the club! I would highly recommend Golfasian to anyone looking for a great golf experience in Paradise!!! My name is David Rendall. 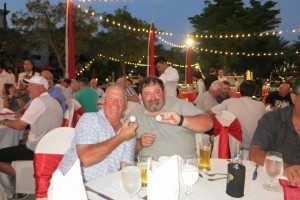 I recently travelled to Thailand with a golfing party of 12, the majority from Scotland & Ireland, however a couple of our group are based in Dubai and Thailand. Most of the guys are members of the same golf club, Pumpherston, which is 10 miles from Edinburgh. 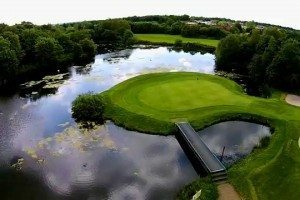 Pumpherston is a lovely parkland course but also features a lot of water; it’s a very modern design considering its age. I have been a member for the last 25 years and currently play off 12, however our group’s handicaps range from 5 to 18. 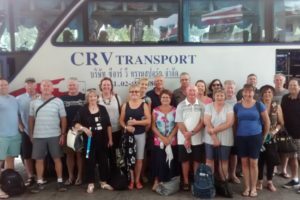 Our group have holidayed in Thailand for the last 6 years, initially for a friend’s 50th birthday celebration. We have golfed all over the world; America, the Caribbean, China, Ireland, Spain, Portugal and the Canaries. Finding that the cost of golf in mainland Europe had become very expensive prompted us to venture as far afield as Asia. 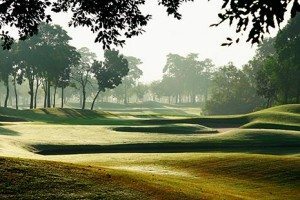 We love the quality of the courses in Thailand with Hua Hin a favourite (Thailand’s “Myrtle Beach”); in particular, Black Mountain, Banyan, Majestic Creek and Sea Pines are some of our favourites. We have booked with Golfasian for the last 5 years through a mutual friend and have never looked back. Golfasian’s attention to detail is superb…they never let us down. 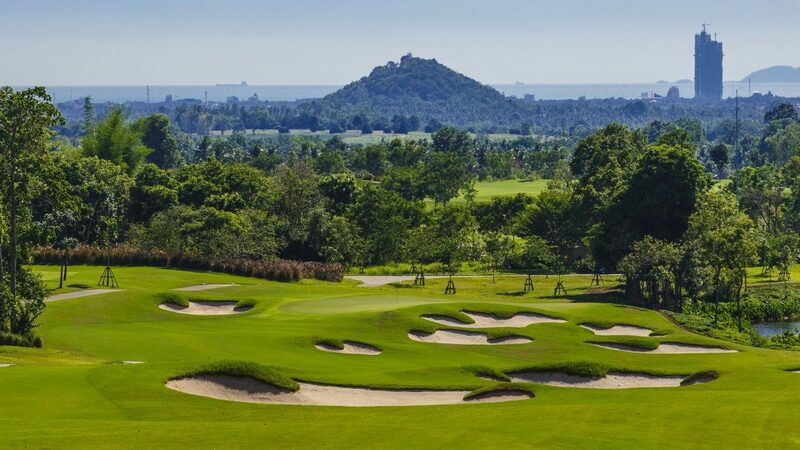 We love all the courses but have a soft spot for Royal Hua Hin which is a great test of golf and is designed by a Scotsman. The caddies’ knowledge of the greens is amazing; your eyes tell you it’s three holes right but the caddy says half a grip left…an oft-repeated phrase follows “why you not listen” but always with a twinkle in their eyes. My favourite day was last November. I started with a triple bogey 7 on the 1st at Banyan, par at the 9th saw me out in 35 gross and 7 up. I didn’t play that well on the back 9 but won the match 6&5 so happy days. The weather in November is perfect, just before we return home to the bleak Scottish winter. After golf we normally have lunch at the course (losers paying the bill) and enjoy a few beers before Golfasian’s Khun Noh (best driver in Hua Hin and a very good golfer) returns us to the hotel. Some of the guys go for a nap or do some shopping prior to us all meeting in the hotel bar at 7pm for a few drinks. Hua Hin has some wonderful restaurants from the Moon Smile (Thai) to some great Italians. The French restaurant next to La Maison, La Paillotte, is fabulous. We have even found a very good Indian restaurant so everyone is happy with the quality of the food. 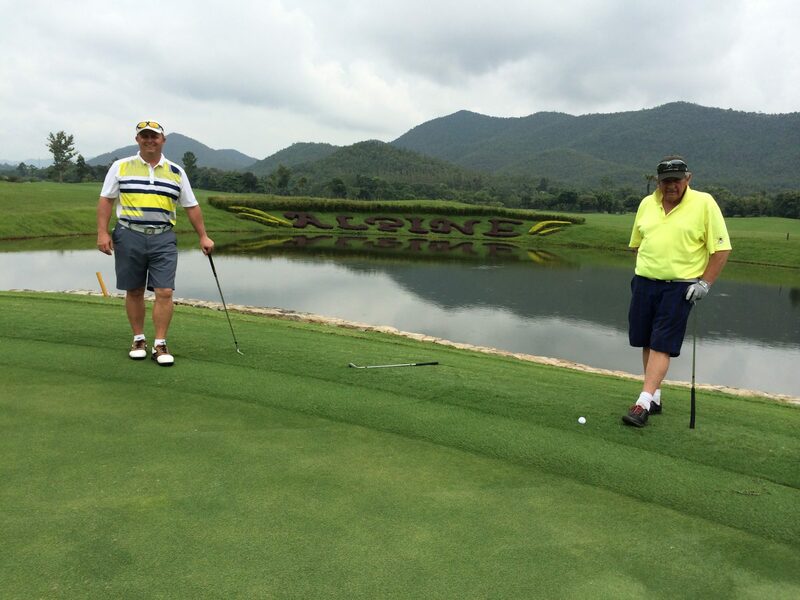 All in all Thailand golf ranks amongst the best in the world as an experience as far as we are concerned. If you haven’t tried it, I thoroughly recommend it and am confident you won’t be disappointed. It is very rare these days that I get to play a new course in my own backyard. 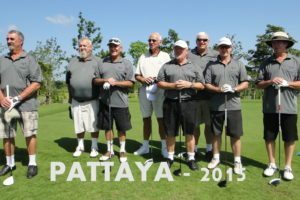 Therefore, when my golfing buddies suggested playing at Pattana Golf Resort in Pattaya, I jumped at the change with much excitement. Thailand has 5 main golf destinations, two are cities (Bangkok and Chiang Mai) and three are beach resorts (Hua Hin, Pattaya, and Phuket). Qatar (7): There is only 1 golf course in Qatar and since 1998 Doha Golf Club has hosted a European and Asian Tour event; the Qatar Masters. The quality of Doha Golf Club somewhat makes up for the lack of other courses. 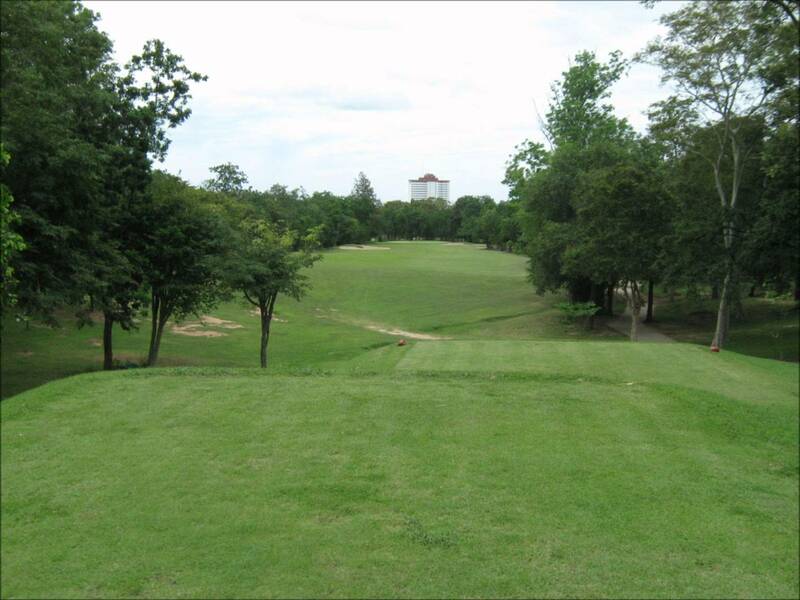 Thailand (7): The best courses in Thailand are located in the major cities and resorts. 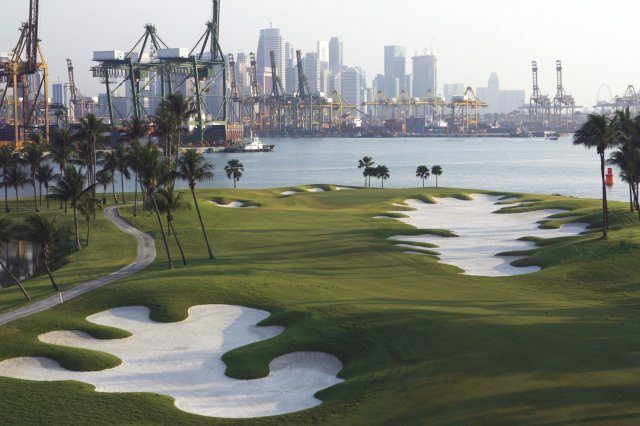 Pattaya sports over 20 courses and in 2012 was voted the best golf destination in Asia by the Association of International Golf Tour Operators. Qatar (7): Service is one of the strong points at Doha Golf Club. From manicured fairways to greens, from the pro shop to the restaurant, everything about the club is first class. 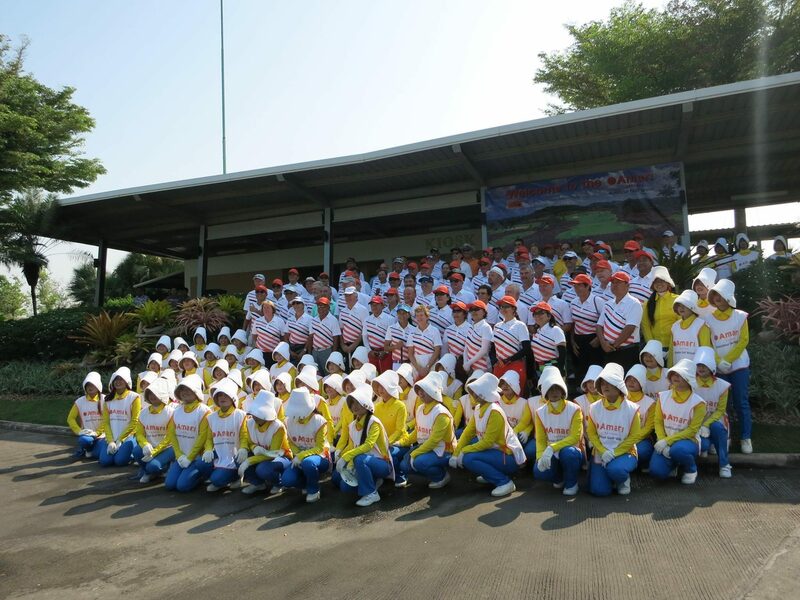 Thailand (10): Service, hospitality, and Thailand are synonymous with each other and golf is no exception. Friendly locals golf side by side with golf visitors which is a nice touch. All Thailand golf courses include individual caddies as standard. Tour caddies will be missed most when you return home and play without one.